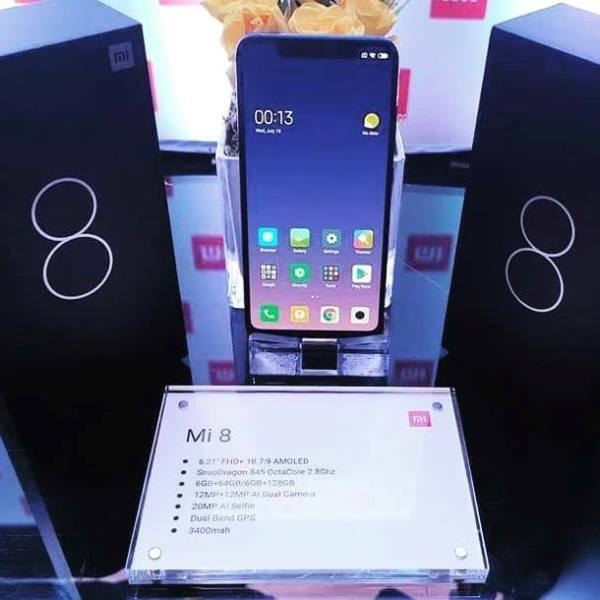 Recently, Xiaomi has launched its flagship smartphone – the Mi 8 – in the Philippines together with its budget devices, the Redmi 6A and Redmi 6. Today, the Mi 8 is now officially available in the country! As a refresher, the Mi 8 is dressed with a metal and glass body. It is planted with a 6.21-inch AMOLED screen that features 18.9:9 aspect ratio and 88.5% screen-to-body ratio. Inside, it is packed with Snapdragon 845 chipset coupled with Adreno 630 graphics. It can be coupled with up to 6GB of RAM, and 128GB of internal storage. The Mi 8 sports an A.I.-assisted 12-megapixel f/1.8 + 12-megapixel f/2.4 main sensors, and 20-megapixel f/2.0 selfie snapper. It is loaded with 3400mAh stamina, too. The Xiaomi Mi 8 is now available at authorized Mi Stores in the country. Its 6GB/64GB variant costs Php25,990, while the 6GB/128GB model is priced at Php27,990.